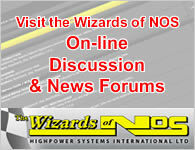 What is NOS? 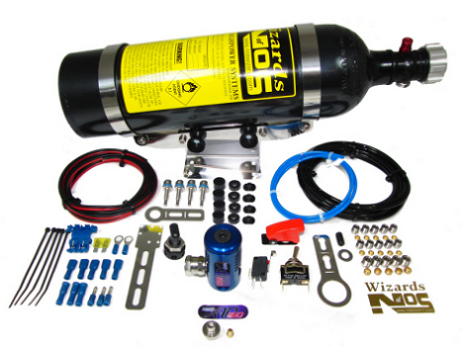 NOS is an abbreviation for Nitrous Oxide System and also the brand name for the company Holley NOS. NOS is quite often incorrectly used to describe Nitrous Oxide. If you’re looking for more technical information than our FAQ page provides, you should be interested to read the facts below about NOS / nitrous oxide and the Wizards of NOS nitrous systems. 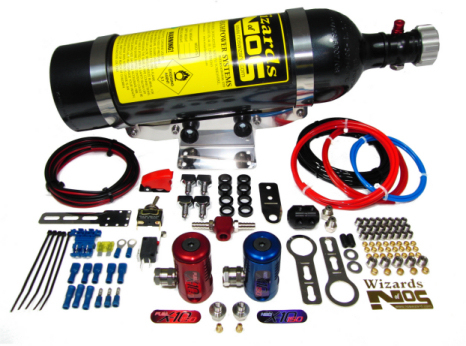 The most essential part of a nitrous oxide injection system is the supply cylinder containing pressurised liquid nitrous oxide. This cylinder is connected by means of a delivery hose to a normally closed electric solenoid valve. The control solenoid valve (which is usually mounted in a cool area under the bonnet), is opened and closed by means of a sequence of two switches, one activated by the throttle and the other a manually activated arming switch. A fuel solenoid (controlled by the same switches as the nitrous solenoid), takes a feed from a 'T' piece, which is tapped into the fuel delivery line. The nitrous oxide and fuel that is to be delivered to the engine is supplied via two delivery pipes, to one or more injectors mounted in the inlet manifold. 1) To make the facts known as to why ‘our’ nylon pipe, is better suited to nitrous use for optimum results. 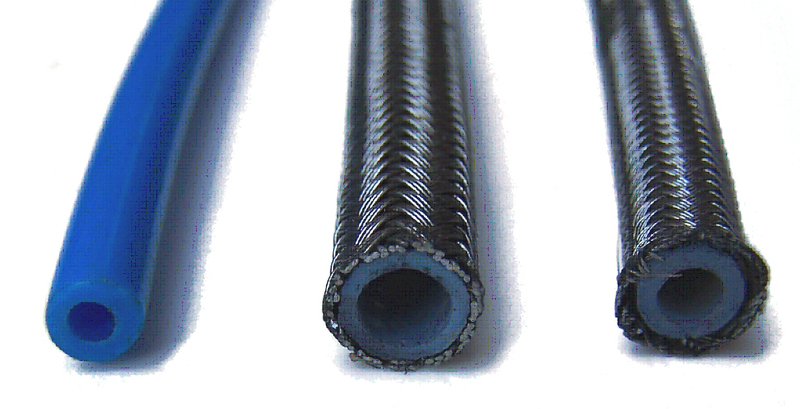 2) To dispel all the ill informed claims that ‘our’ nylon pipe is inferior to braided pipe. Before considering the following information, please consider the following facts. It is now almost universally accepted, that WON Pulsoids are vastly superior to ‘generic’ solenoids, as supplied in all other brands of nitrous kits. Does it therefore not make sense that we’d also supply the ‘best’ pipe for the job? We'd also like to point out that when higher flow rates are required than the nylon is capable of flowing, we do supply braided hose between the bottle and nitrous solenoid. Misconception 1) Braided hose can handle more pressure. Truth; At ambient temperatures under 30 degrees that is not the case, as Wizards of NOS nylon pipe is capable of handling approx. 6,000 psi. However, even if it were true, what is the point of using pipe that is capable of handling more pressure than it will ever be subjected to? Furthermore, as it is dangerous to your engine to supply it with nitrous above 1,000 psi, it would be safer to use a pipe that would burst just above that pressure, to act as a safety switch/fuse and warning indicator. Misconception 2) The stainless steel outer braid shields the hose contents from heat. Truth; The outer braid actually ‘conducts’ and ‘holds’ heat in closer proximity to the contents, than would be the case without it. This misconception has lead to some extreme instances, where people have secured the hose to the exhaust system, which has vaporised the liquid nitrous into gas and resulted in no extra performance. In contrast, Wizards of NOS pipe is made of nylon that is a very good ‘insulator’ and therefore ‘does’ shield the contents from heat. Misconception 3) Braided hose is indestructible. Truth; The interwoven strands are the only protection the inner hose has but if only ‘one’ strand gets damaged, the whole hose integrity is lost, because the inner plastic (PTFE) hose has no strength. Contrary to people’s expectations, it is very easy to snag more than one strand on a sharp edge, especially when routing the hose through the car. Truth; Braided hose end fittings go ‘inside’ the hose and the bore of these fittings is much smaller than the bore of the hose itself and as a consequence the flow rate is much lower than the pipe bore along would support. 1) The steps created by the fittings cause the nitrous liquid to phase change to gas, as it passes through the fittings. This does not apply to Wizards of NOS nylon pipe, as the fittings are external to the pipe. 2) The much larger bore of the braided hose acts as a large reservoir for the initial gaseous (not liquid) nitrous build-up prior to activation, that will result in a ‘dramatic’ loss in performance unless it’s purged to atmosphere and wasted before every operation. This is not a problem with Wizards of NOS nylon pipe, as the ‘very’ small bore means there is minimal build-up so purging (waste) is not needed to achieve optimum results. 3) In competitor's kits the braided hose is supplied in a fixed length, which means the surplus hose has to be coiled up, which results in an even bigger unnecessary waste of nitrous. WON nylon pipe can be cut to the ‘minimum’ length required to avoid this waste. The simplest way to appreciate if a spark plug is suitable for nitrous or not is to consider the following; When you add NOS / nitrous to an engine you’re subjecting the spark plug to more heat and as a consequence it will be more likely to melt. The more metal that the spark plug consists of, the more metal there is to melt. By minimising the length and number of electrodes, you are reducing the amount of metal that can melt and lead to the destruction of your engine. 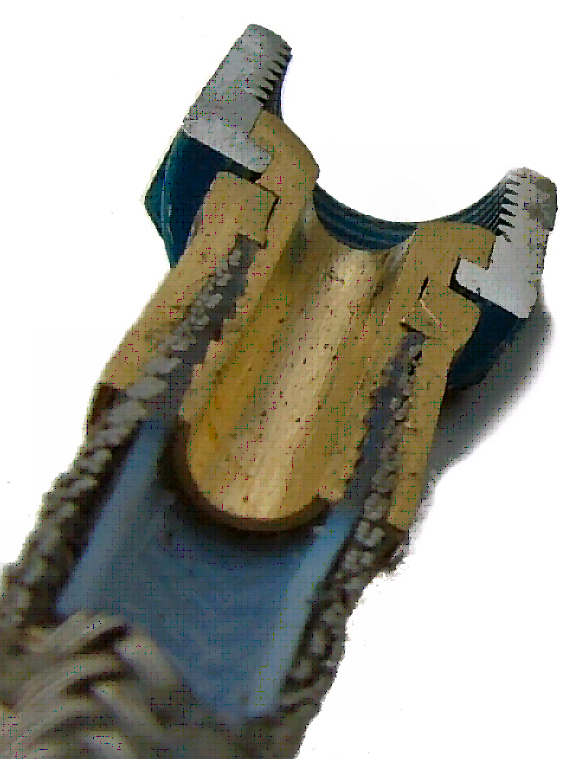 Consequently long ground electrodes (as in the case of projected nose plugs) and multiple ground electrodes (both of which are commonly used as standard in most cars), are to be avoided at all costs. Also to be avoided (but not for the same reason) are surface discharge plugs, which although they seem ideal for nitrous (due to not having any ground electrode), are most certainly not suitable, because the spark gap is too big and can’t be reduced. at range plug should be increased by one step for every 50 HP increase. In the case of NGK this would mean changing a 6 for a 7 etc. and where possible a plug with the letters ECS after the number are best suited to nitrous use as they have a shorter than normal ground strap. The simple and most relevant answer is because we couldn’t get enough into the engine for it to be as effective as NOS / nitrous oxide. Air has only 23.6% oxygen by weight, the rest is made up largely of nitrogen. Although nitrogen does not aid the actual combustion process it does absorb heat, as well as damping what would otherwise be a violent explosion, rather than a controlled burn. When you add nitrous, it has 36% oxygen with the rest being nitrogen. So the more nitrous oxide you add, the less percentage of nitrogen is available to absorb heat. 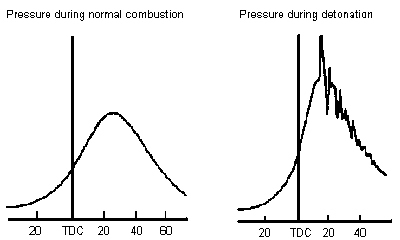 That’s one of the reasons why adding more nitrous increases the heat of combustion very rapidly. If we were to add pure oxygen (which has been tried), the percentage of nitrogen would progressively decline to a much greater degree than with nitrous, as more and more oxygen was added. Consequently an engine wouldn’t be able to handle much pure oxygen before the increase in heat lowered the detonation level to unusable levels. Furthermore, oxygen can only be ‘readily’ stored in a compressed ‘gaseous’ form, without being stored in a special cryogenic thermos cylinder (a cylinder within a cylinder with a vacuum between the two walls) and as a gas it loses the cooling effect that nitrous offers by being available as a liquid. Adding the oxidiser as gaseous oxygen would displace more air than adding nitrous in liquid form, resulting in a lower total power capability. In other words; by using nitrous oxide we can squeeze in more oxygen atoms in a more beneficial form, containing substantial amounts of detonation suppressing nitrogen, than would be the case with gaseous oxygen.